I've never really been big on chili but I actually happen to be huge on food competitions. And, truth be told, ever since I found this crock pot recipe a while back, I happen to make a mean chili myself. So, I'm sure I'll make my around to Stone Mountain Park for Saturday's 32nd Annual Great Miller Lite Chili Cook-Off. It takes place over at the Coliseum Meadow from 10am-7pm and 100% of all the profits are going to Camp Twin Lakes which is actually a very worthy charity. Tickets are $10 for adults. Kids 12 and under are FREE. You can only get tickets at the gate and it's CASH ONLY!!! According to the site, there were over 14,000 people there last year so this could be fairly interesting. 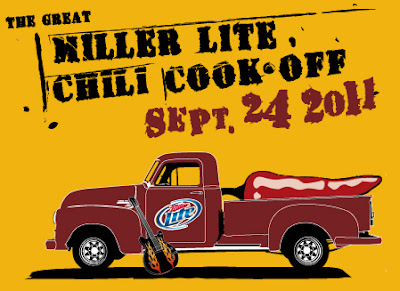 For more information, you can follow the Great Miller Lite Chili Cook-Off on Twitter and Like the Great Miller Lite Chili Cook-Off on Facebook.